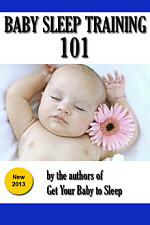 A baby crib may be the most important piece of furniture you buy for the nursery. It’s often the most visible thing in the room, and hopefully where your baby will spend the most time. It can also be one of the most expensive items, and probably one where you might not want to skimp. Standard crib. A standard 4-sided crib, usually with adjustable mattress heights to accommodate your growing little one. The highest mattress settings are for newborns; the lower settings help prevent them from climbing out as they get bigger. Toddler bed. The next step is a small bed with rails that still uses the crib mattress, but lets your toddler climb in and out on his own. These open up the room a little bit and most kids just love them. Day bed. This is probably the least-used option, but you can remove the toddler bed rails and make it a 3-sided day bed (pillows not included) and keep it in the nursery, giving you a place to sit during the day. Full-size headboard. Last but not least, the 4-in-1 crib usually converts to a headboard/footboard for a full size (double) mattress. I wish this were a twin mattress, which seems like the natural progression, but even our 2-year-old daughter was comfortable in a full. These options not only save money and storage space, but ensure a consistent look for your baby’s furniture as he or she grows. As with most baby products, there are many choices when it comes to convertible cribs. 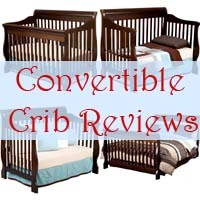 Here, we compare and review the bestselling 4-in-1 convertible cribs. Built of solid hardwood, not particle board. 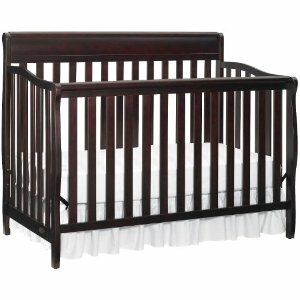 Currently the bestelling 4-in-1 convertible crib on Amazon, the Delta Canton is a solid choice. Literally, because it’s made of hardwood and not particle board. This crib is made to grow with your little one: it has 4 different mattress heights, then converts to a toddler bed, after which it’s your choice of day bed or full-size. Safety is a priority. 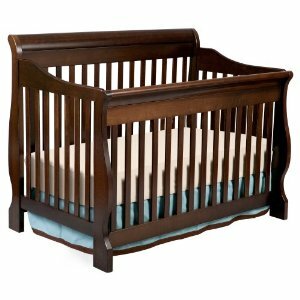 This crib is certified by the Juvenile Product Manufacturers Association (JPMA), and has a non-drop-side design for superior safety. Assembly takes about an hour, by most reports, and the tools are included. 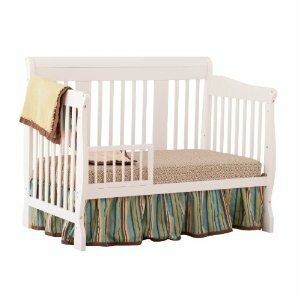 This is one of the most popular cribs on WalMart.com, as evidenced by the 5 stars with almost 250 reviews. It’s sturdy, made of solid wood (New Zealand pine) and has a non-toxic finish. This is the ebony finish; it also comes in expresso, white, and cherry. Convertible from crib to toddler bed to day bed to headboard for full size bed. 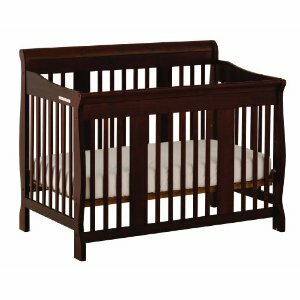 Here’s a sturdy, stylish crib that you can get for a great price (usually under $150). The Graco Stanton convertible crib features the traditional sleigh design and converts to day bed, toddler bed, or headboard for a full size. In crib form, there are 3 different heights for setting the mattress. Stork Craft makes wonderful products, emphasizing safety, usability, and style. Their 4-in-1 convertible crib is no exception. It’s made of solid wood and has four stationary sides for an extra-safe design. The finish is durable and non-toxic. I really like the fact that the assembly is easy, and the instructions are permanently attached. This crib has seven different color options: black, white, natural, oak, expresso, cognac, and cherry. You can virtually find it in a color to fit about any nursery! 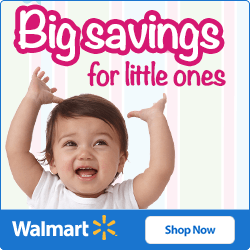 Don’t forget that you’ll also need a mattress for your baby crib! Luckily, all of the convertible cribs here take a “standard” crib mattress, which is about 52 inches long by 27 inches wide. See our article on the best crib mattresses for our recommendations from Kolcraft, Sealy, and Serta. If you’re looking for a sturdy but compact crib that doesn’t convert to a bed, check out our mini crib reviews. Looking for something to take on a trip or leave at grandma & grandpa’s house? Have a look out our guide to portable travel cribs.